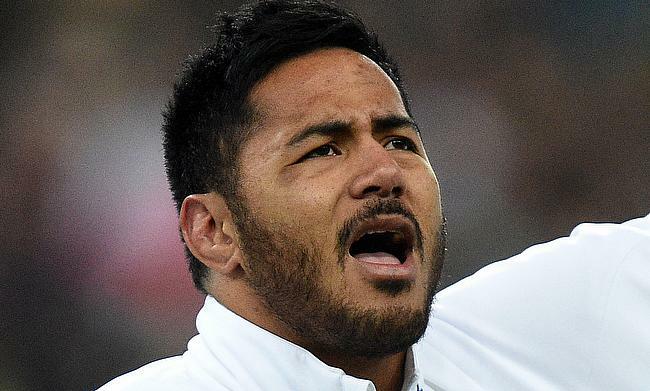 Leicester Tigers centre Manu Tuilagi is set to make his first start for England since 2014 after he was named in the XV by head coach Eddie Jones for the Six Nations opening clash against Ireland at Aviva Stadium in Dublin. The 27-year-old has managed just two Tests in the last five years - both coming off the bench - after his career was hampered by series of injuries and now has been positioned at number 12 slot after Ben Te'o was ruled out of the encounter following an injury. Mike Brown is once again left out of the matchday 23 squad with Elliot Daly preferred at fullback while Owen Farrell has overcame a surgery on his thumb to take the fly-half position with George Ford providing cover from the bench. The absence of Dylan Hartley will see Jamie George starting at number two while Mako and Billy Vunipola have returned to the national fold after missing the autumn series with injuries. Jack Nowell and Jonny May start at wings while George Kruis will partner Maro Itoje in the second row with Joe Launchbury dropping out. “I think it is quite clear to beat Ireland you have to beat them in the contest area," said Jones. "They are very good at the breakdown and in the air, both those areas are a priority for us. Traditionally England and Ireland games are always very close, they are tough affairs, there is a lot of emotion in the games so our ability to finish the game strongly is going to be vital. Tom Curry and Mark Wilson will make their Six Nations debut while Dan Robson is set to earn his first cap for England after being named among the replacements that also has Luke Cowan-Dickie, Ellis Genge, Harry Williams, Courtney Lawes, Nathan Hughes, Chris Ashton and Ford. “This camp has been vitally important for us to get our understanding on how we want to play the game," said Jones on England's training camp in Portugal. "It has been also enormously important for us is to get that togetherness off the field and the senior players and staff have been working very hard in those areas. England starting line-up: 15 Elliot Daly, 14 Jonny May, 13 Henry Slade, 12 Manu Tuilagi, 11 Jack Nowell, 10 Owen Farrell, 9 Ben Youngs; 1 Mako Vunipola, 2 Jamie George, 3 Kyle Sinckler, 4 Maro Itoje, 5 George Kruis, 6 Mark Wilson, 7 Tom Curry, 8 Billy Vunipola. Replacements: 16 Luke Cowan-Dickie, 17 Ellis Genge, 18 Harry Williams, 19 Courtney Lawes, 20 Nathan Hughes, 21 Dan Robson, 22 George Ford, 23 Chris Ashton.